So while we were on a roll and decided to hit the squid again. 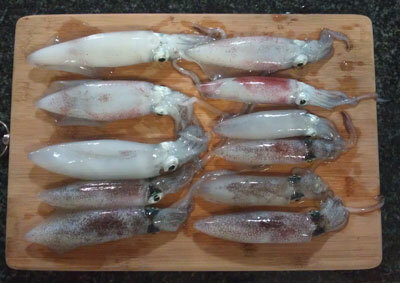 You will find with squid, when they’re on, they’re on like donkey kong! At times you can try squidding for hours on end without returns. Same as the day before, we used the smaller jigs and we were pretty much on every 2nd cast. We ended up with 11 and pretty much could have hit bag limits, but decided to leave the others for someone else or for another day!